There are a few good reasons why you should add books to your TOEFL preparation, even if you are already taking a TOEFL course or making your own practice tests. Books are versatile study tools that can assist you with all aspects of test prep, not just grammar and vocabulary. 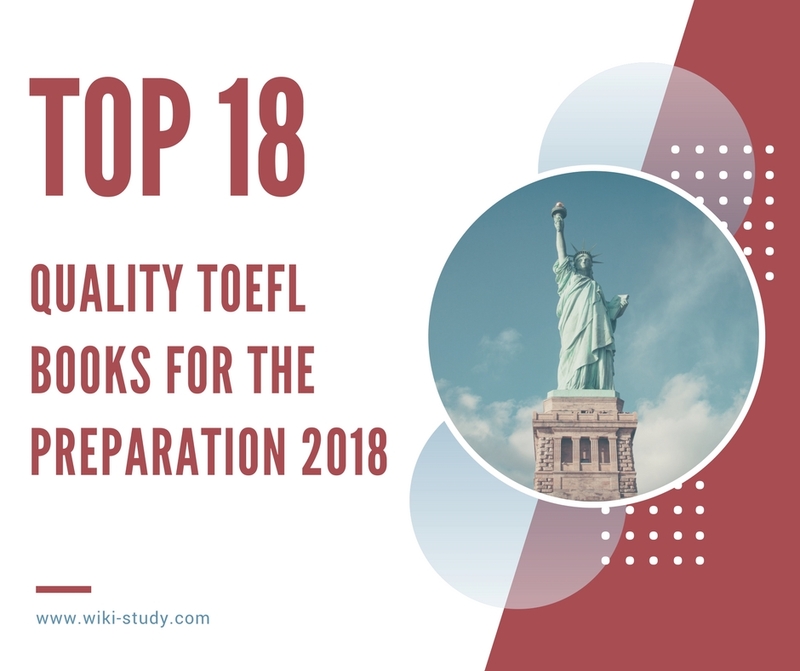 TOEFL is such a well-known test that there are countless (many) great books written on everything related to it, from speaking topics to note-taking strategies. Books complement any study strategy you may consider using. You may take a TOEFL course, hire a tutor or study by yourself… but in every case, you will most definitely need a TOEFL textbook and several other books to help you. There are plenty of books written about TOEFL in languages other than English. You can probably find a textbook written with some explanations in your native language! This is invaluable for students with an intermediate level of English or lower. What is more, a lot of books may be available entirely in your native language and sold in your local bookstores. So, what kind of TOEFL book should you go look for? These textbooks cover all aspects of the test and prepare you for all of its sections. This kind of TOEFL textbook works great as a general study guide. No matter which other books you use, you should definitely pick one of these and rely on it for your overall test preparation. This is the official textbook released by the organization that administers the test. It gets republished fairly regularly and contains the most up-to-date information on the TOEFL and its requirements. This is the safest bet when you want to have the most relevant and useful information. This book is updated every year. It is a comprehensive resource for TOEFL preparation that has good listening and speaking exercises and sound advice on test-taking strategies. If CDs are not your preference anymore, the book also gives you access to MP3 file downloads and online exercises. The major advantage of this well-written, academic resource by Kaplan are the practice tests. Every textbook provides test examples and mini-tests, but this particular TOEFL book includes the biggest number of practice tests available. Along with the standard CD/MP3 resources, you also get instructional videos! Each of these books focuses on one specific element of the TOEFL and your preparation for test day. For example, some of them focus on one individual test section—either Reading, Writing (Independent and Integrated), Listening or Speaking. They may also assist with other isolated aspects related to TOEFL contents. If you feel like you need to focus on, for example, reading or writing, look into getting some of the specialized TOEFL guides. This book will allow you to test your heart out once you have had enough studying! It is best reserved for weekly and monthly progress evaluations, but this book should nonetheless be listed close to the top of our recommendations, as it provides five more authentic tests in addition to three you get in the official ETS textbook. Once you know what to expect from the TOEFL, you need to practice, practice and practice more. This exercise book has over 1,000 different exercises for all test sections, including sample essays and speaking task answers. There is also a full practice test, in case you do not have enough of these already! Mainly because of the amount of questions and answers, this is a good tool to supplement and boost your studies. “As an English teacher for foreign language students I truly recommend this material. A comparison between what it offers versus the investment required will clearly show how significative it is for non native speakers. The division among the abilities (Listening, Reading and Grammar use) is well balanced and well driven to TOEFL Test. This book targets the very necessary vocabulary skills every TOEFL taker should have. The book focuses on approximately 500 essential words that will help you do well on the test. Because vocabulary building is a highly personal subject—no two students are alike in what they know and what they do not know, everyone knows a different set of vocabulary—this guide is best used as a complementary vocabulary resource rather than a primary one. 240 Writing Topics is an very thorough book. It outlines and breaks apart the different components of the essay and then teaches you how to write them using a variety of common topics. This book shows you again and again how to structure and phrase your argument to support your thesis. I would recommend this a s practice book for ESL students studying for any type of competency exam. It’s a complete education on how to correctly write an essay. These two books share the same contents, so buy one or the other to practice your speaking and writing skills. You do not need both together, you just need to choose based one your needs. Do you need to practice writing more? Do you need to practice speaking more? Studying by yourself for both of these TOEFL sections is challenging without a doubt, but each book can be a great assistant! Each provides over a hundred topics that you can write on and speak about out loud. All of the topics have been taken from retired TOEFL tests. The book also contains model essays, good essay outlines and a lot of examples of elegant, grammatically correct sentences. These will help improve your oral and written skills alike. True, there is no separate grammar section on TOEFL. However, grammar is essential for getting high scores on Writing and Speaking sections. You can never practice too much grammar. This is one of the most popular guides to English grammar, now in its 11th edition, and it is easy to see why everyone likes to use it. It is well-written, accessible and very concise. The grammar rules are all very clearly explained without getting too complicated. Apart from all the grammar rules that are discussed and explained, it also offers lots of examples, worksheets and tests. When you need just a little bit of extra help with your English language studies, it is a good idea to look for resources targeted specifically at non-native English speakers. The book takes into account the most common difficulties ESL learners encounter with English grammar, using examples and accessible language to explain concepts clearly. While dictionaries are not textbooks, they are useful book for anyone who wants to take the TOEFL! Dictionaries are inevitably found on the desk of every English language student. And for a good reason! You cannot study a language successfully without having a good dictionary on hand. A dictionary that translates English words into your native language can be helpful when you are really confused about an English word’s meaning. However, when studying for the TOEFL you will also want to have an English-to-English dictionary, so that you can read descriptions of English words in English. This will teach you even more vocabulary and let you practice your reading comprehension. So, you will need a dictionary that is made for English speakers. A thesaurus is your best choice of book for improving your vocabulary and making sure that you do not repeat the same basic vocabulary words over and over again while speaking and writing. It is also great for practicing reading comprehension while learning new words. You can look up an unknown word and try to understand its meaning based on its synonyms. The most authoritative and, indeed, the most well-known and therefore most easily-located dictionaries worldwide, are published by Oxford University Press. You may choose to own a different one, but any Oxford dictionary is well worth the investment due to its rigorous editing process and regularly released new editions. After the Barron’s book has gone over specific strategies for specific sections, it has a section called Academic skills that apply to all four sections. Campus vocabulary is a list of approximately 200 academic vocabulary that are frequently used in TOEFL. It includes the word’s definitions, example sentences, and the grammatical use in the sentence. There is also an interactive program which includes all the campus vocabulary in this book. If you are interested in this free program, visit this site. Summarizing is using your own words to shorten an idea into few words. Summarizing is like paraphrasing but using fewer words than paraphrasing. Barron’s book teaches many summarizing skills such as condensing the ideas, combining sentences using clauses of addition, result, contrast, and reversal, and identifying the main points. After the guide, it contains questions to strengthen your skills. Synthesizing is combining two ideas into one which is important for integrated speaking and writing tasks. This book gives useful advice on synthesizing such as recognizing key words and phrases that denote relationships and step-by-step guide on reading and writing synthesis tasks. This book is really an amazing tool for you to encounter detailed questions in the listening section. The practice tests require you to listening carefully and pay attention to detail. There are many questions related to the order of facts given in the lecture or true/false questions. Hardly could people choose the right answer without grasping the whole passages. This kind of question is the most difficult one in listening, so people who have mastered other types should work on this book to complete all of the skills. Delta’s Key to the TOEFL iBT is a complete test preparation course. It represents an excellent, feature-packed resource for anybody looking to boost their TOEFL score. The guide is organized in thirty-five learning units that cover the TOEFL’s Reading, Listening, Speaking, and Writing sections. Each unit begins with an exercise to focus the reader’s attention, followed by introductory explanations, strategic advice for each section, and thirty-four timed quizzes. The quizzes in particular give the guide a playful and fun component and make studying for the test less stressful. Another helpful feature is the book’s sample study outline with suggested topics and quizzes or tests that should be covered each week. Students can elect to use this outline to structure 15 weeks worth of TOEFL test preparation. The book is also accompanied by a CD with nine hours of MP3 tracks that can be played on iPods and similar devices. The CD contains the audio portion for all exercise, tests, and quizzes that are part of this guide. Overall, an excellent choice and good alternative to TOEFL books by the major publishers such as Barron’s or Kaplan. Some say that once you understand humor, you have mastered the language. It is up to you to decide whether that is the case or not! A lot of jokes from this book, while being funny, will also help you improve your understanding of American English idioms and puns. Have fun with it! There are thousands of books on TOEFL and hundreds of thousands of books for ESL students. How can you choose the best one for you? By simply deciding exactly what you need. What are your weaknesses? What do you need to learn more about? What are the hardest parts of the TOEFL practice exams for you? One of the easiest ways to get more knowledgeable about a particular aspect of the English language is to find a book about it. A specialized textbook may help you address the weak spots of your English, while also preparing you for the test. Books cost relatively little and nowadays they are easily accessible online. They can be an attractive option if you want to study by yourself or do not have the means to take a whole course. You are sure to find a useful one for your TOEFL journey—just start with the books recommended above!